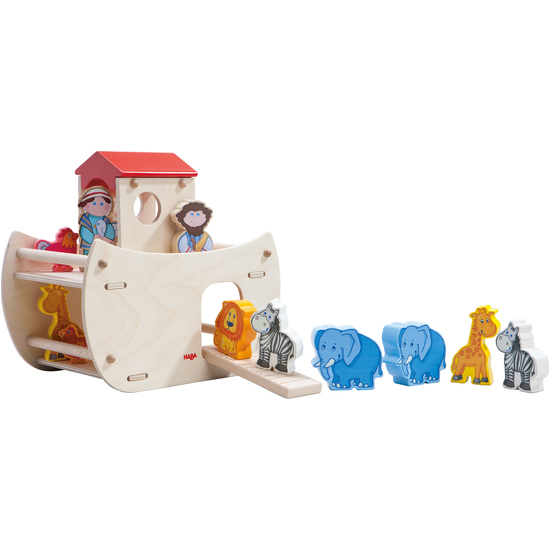 Playing with this sturdy ark children can re-enact the famous story of Noah’s Ark. The animals enter the boat in pairs and set off on their journey. The wooden figures are caringly designed and easy to grasp.